​Montford Park is the Charlotte, NC neighborhood located along Park Road from Selwyn Avenue to Reece Road behind Park Road Shopping Center. The neighborhood encompasses one-third of a square mile and has become an employment and retail destination with more than 3,200 employees, 80 retail businesses, and more than 50,000 cars driving through it daily. It is currently home to 620+ residents and is about to welcome even more. Montford Park Partners is a 501(c)6 nonprofit entity formed in 2016 with the mission to enhance the livability, viability, and visibility of the neighborhood. ​To contact the board, email MontfordParkPartners@gmail.com. 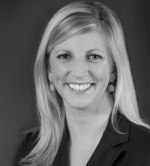 ​Rachel is responsible for directing development activities for Ram Realty in the Carolina’s region. She is proud to know what it is like to be a resident, employee, patron, and advocate of the neighborhood. Her passion for Montford Park’s future fueled the rebranding effort and the creation of Montford Park Partners. Mike delivers strong direction and leadership as Board Chair. With his real estate expertise and as head of our Advocacy & Infrastructure committee, he is involved in bringing city recognition to the area, while actively encouraging thoughtful and responsible local planning. ​Tracy has been a higher education leader for over 20 years and began her career at Syracuse University. A community volunteer for many years, she is excited about the opportunities for strategic growth and development of the Montford Park community and looks forward to Pfeiffer’s continued involvement as an educational partner. Carly brings a 14-year background in marketing and graphics to Montford Park Partners. She is the Charlotte marketing lead for the corporate office of The Spectrum Companies, a commercial real estate firm and the developer of The Abbey Apartments off of Park Road. The Abbey is one of the newest places to live in Montford Park, bringing walkability, outdoor living, and a welcoming neighborhood feel–more than any other luxury apartments in the area. Caitlin is the owner of The Barker Lounge, a doggie daycare and boarding facility located in the heart of Montford Park. She is also a Montford Park resident and is very passionate about the development of the neighborhood. As a small business owner and former investment banker, she brings a unique skillset to the Montford Park Partners Board and hopes to leverage her skills to benefit our residents and businesses. John brings years of experience as an entrepreneur to Montford Park Partners. Prior to founding CoCoTiv, he owned and operated Interiors Marketplace and Post & Gray in South End. As an original board member of the Charlotte Trolley and South End Development Corporation, he looks to bring the same brand awareness to Montford Park. Bob is in his 13th year of institutional fundraising, mostly in higher education having been at Spartanburg Methodist University, Furman, and Clemson Universities earlier in his career. He is an alumnus of Clemson, 1980. Bob is married to Nancy Fuzy, celebrating 35 years. Bob and Nancy have twin sons and a married daughter. Adam specializes in helping dynamic brands grow and destination retail projects thrive throughout the Southeast. Outside of retail brokerage, Adam is as an owner of Charlotte hot spot and founder of Charlotte’s #1 restaurant blog Restauranttraffic.com, a local source for restaurant news and reviews. Meaghan provides support to over 1200 employees across Bank OZK’s growing footprint. She also works on process improvement and special projects that will lead to greater customer experiences. As a transplant to the Charlotte area, Meaghan is excited about being part of a growing and evolving neighborhood. Julie is a business owner in Montford Park. She lives with her family in the bordering neighborhood of Freedom Park. Julie is a multi-year recipient of the 5-Star Real Estate Agent award and she thrives on relocating people to Charlotte and helping them find their place in our great city! Julie graduated from UNC-Charlotte and has lived here since 1986. She brings marketing and relationship skills to the Board and looks forward to continuing to spread the word about the great area of Montford Park! Andy is a Native Charlottean who operates Angry Ales and Southside Charlotte in Montford Park. Andy lived in the area for 6 years and is very invested in the continued success and growth of Montford Park.